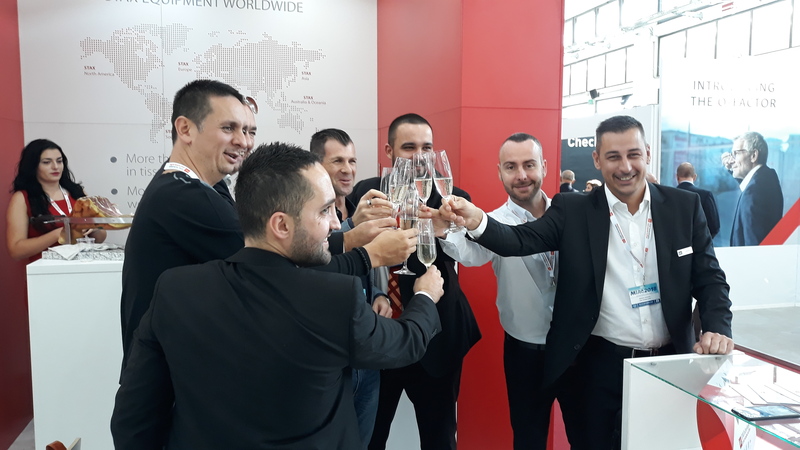 Pompously announced, this year’s MIAC opened its doors for the visitors and exhibitors in the period from 10th to 12th October, offering the entire overview of the latest technological achievements and equipment of the paper and packaging industry. Thanks to the constant presence of STAX Technologies at this exhibition, numerous visitors of our exhibiting space at the stand 131 had an opportunity to get not only the firsthand information about latest achievements in the field of machinery construction but also the avant-garde system solutions for improvement of the process of production, packaging and transport of paper products. It is not a surprise, but this year’s attendance exceeded our expectations and previous experience. It is an indicator for STAX Technologies that we have been taking the right decisions regarding courageous and revolutionary inventions. Furthermore, this year MIAC’s value has been proved by our business partners and clients and the great contracts concluded with also great realization in the time to come. MIAC 2019 is already in our schedule. It is marked in red colour as one of the most important activities for STAX Technologies in October next year.